Adrianne Ayers is a single mom to three teenagers, a nurse, and loved by all who meet her. In February of this year, she was admitted to the hospital with influenza and pneumonia. Her condition rapidly deteriorated and she was emergently placed on extracorporeal membrane oxygenation (ECMO). She spent approximately 4 months on ECMO, and over 5 months in total hospitalization. Her hospital course was very complicated, and she faced many near death experiences. She developed multi-system organ failure, and at one time her only chance for survival was thought to be a double lung and kidney transplant. 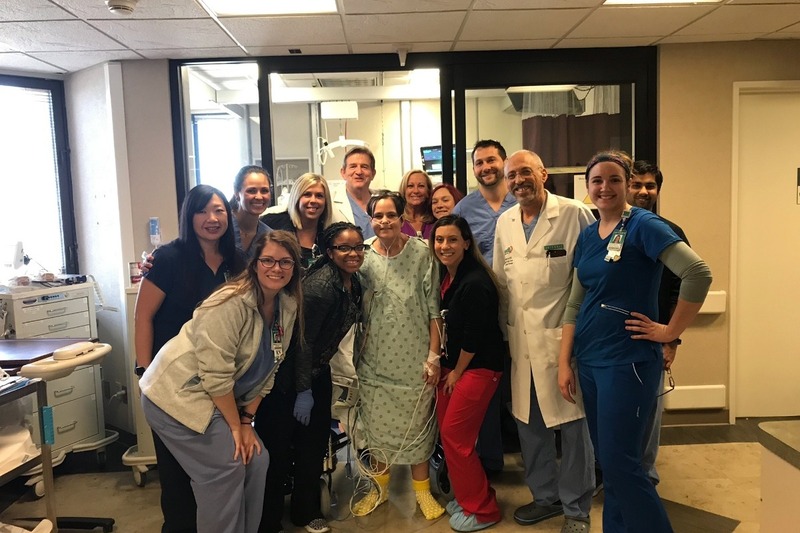 Her critical care team maintained a very innovative medical management style, utilizing every resource at their disposal. Experimental drug trials were used, as well as the help of an out of state physician to perform a life-saving procedure never before done in the state of Oklahoma. Despite these grim odds, and many obstacles, she persevered. However she did not just survive, but is recovering well at home with her children. Her story is nothing short of a miracle, but it doesn't stop here. She has a vast amount of medical bills left to pay and the current therapy needed for her recovery is far from over. She is also the sole provider for three teenage children, and is currently unable to work. Adrianne has a heart of gold and is happiest when serving others. She has already volunteered her time and began serving others again despite not being fully recovered. She teaches her children each day the importance of putting others first, and it is time for her to receive that treatment. I urge everyone to take this opportunity to donate something to this inspirational woman. It's our turn to serve her!